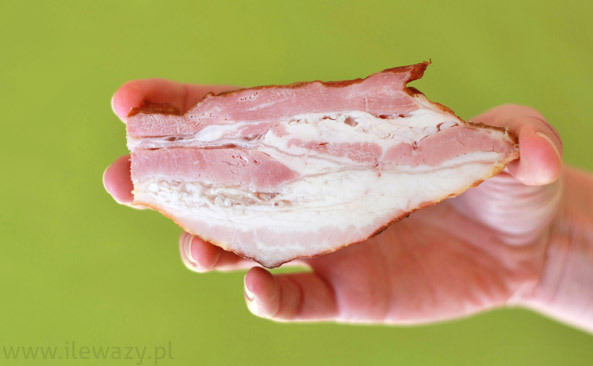 Lightyears ago, I thought that British bacon and Polish boczek are the same - ham-like meat with a lot of white fat. Ham-like stuff with a little fat on the side. We don't all have fry ups for breakfast either! They are fairly popular though ( UK has a lot of greasy spoons ). Personally i can't imagine confronting anything worse in the morning...yuk! Pawian have to agree with Pam nobody eats that crap for breakfast unless they are builders or farmworkers and have already worked a few hours before breakfast. Why don't you go there for a weekend and see for yourself? For the same reason newspaper distort reality - to sell. there are some women that can cook and some that cannot - all around the world. YAY! I am Westerner and I cook! As well as some from in -laws (great chinse actually! My mum in law was born in Russian Enclave in Tietsien). I can make Beof Wellington and chicken Kieve from scratch, I make pastry, pie, candies, fudges, divinities, pickles. all manner of Boheme, Basque, Portuguese, Spanish, Kosher, German and Scott dishes. I can roll sushi. I can make canapes all scratch. I can pat tortillas. I make cream sauces, chow chow, chutney, and salsas. I am a minor winemaker and have also brewed beer. I also know how to make shine. I prefer fruit to corn liquor. I also do a lot of Southern dishes (which are simply really imported German/Irish peasant food all fried). I can't wait til I have a real kitchen again.... Mmmmmmmm! Course when I cook only for me I am terrible(according to studies-I feel fine). I loooove butter. With everything. And true lard I use more often than Olive oil. Becuase flavor difference. I fry my bacon in butter and what I dont saute' or braise in butter? I cook in the butter bacon grease. An my physician in Army hated me because he has been to my house and KNEW what I ate. Nope I have LOW cholestrol. On previous subject.... I have one man already claim I took his soul. But am redhead...it is in my job description. But would I make it so you don't miss it; does that call it even? I can feed him well too! What about kippers for breakfast, or is that a Scots thing only? Which English writer was it (Bacon maybe?) who wrote in his lexicon as a defintion for oats that it was something fed horses in England but eaten by people in Scotland. , he started adding prunes to the mash. eeew..was he trying to make tzuica? Brandy has to be aged.. a long bit. Good moonshine tastes like flavored strong vodka... Everclear is a modern commmercial moonshine. cheap, fast or bad is having JP5 in your glass. Even good shine will put hair on the chest of either gender and burn off your eyebrows. Not all of them.. That picture looks like the 80's. Now, all the rage are the cooking shows, and most of people around me, in an effort to become "foodies" go to the other extreme - making their own pasta and baking their own bread. "kippered" used to be just preserved fish..now applies to many things. But kipperS usually means cured then smoked herring. Specially small 3-4 in ones split and laid out in a tin with or without an oil. I think brits eat bigger drier ones for breakfast...? Thank you Rysavy,do you like them? Yes..i don't know about for breakfast, but I like them on a crisp melba with a bit of hot mustard and a strong cheese like goat or sheep or bleu. Specially with beer when I partook of it . They are strong fish, not everyone can enjoy them. Rysavy,sounds quite delicious to me the way you described eating them,but perhaps not for breakfast lol. That's Romanian ţuică stuff, right? In Polish transliteration it would look like: cuika, or cłika. This T up front is confusing, because it is T with cedilla. - sizeable laundry cauldron, filled with mash at the bottom - made mostly of sugar and yeast plus some fruits for flavor. That was put on the top of the stove. - a big washing bowl, on the top of the cauldron, filled with very cold water. Fresh bread was used to seal the edge of the cauldron and the washing ball. The process was simple: stove heating, evaporation, condensation at the the washing bawl, collection of alcohol at the bottom bowl. He claimed, that all that smell coming from the regular cooking was sufficient enough to hide the smell of alcohol being produced. She was not afraid of any unexpected inspections. Not that it was any problem at all, since only three people were entitled to run such business: her, the police station commander and the parish priest. eeew..was he trying to make tzuica? well the original mash wasn't grain -- they fermented rice. i guess technically it was like sake except higher alcohol. but anyway, the only reason he put prunes in the mash was to hope that it tempered some of the taste from the rice. anyway they used to take some then chase it with beer (had to have a chaser). once i ran the still (of course I had to get it to drip slow so it came out crystal clear) whew! it was a lot stronger than their batches. they ran it fast and kept the heads and tails so it wasn't so potent. that's why it was nasty tasting. As I was told, my friend's mother used to produce her booze in the most primitive still ever, made of: "..."
Wow. 0_o I bet you clean carburetors with that! sizeable laundry cauldron, filled with mash at the bottom - made mostly of sugar and yeast plus some fruits for flavor. That was put on the top of the stove. so let's put an end to the lazy generalisations. No, let`s not. The nature of this thread is generalisation. I write here about general tendencies prevailing in countries. It is obvious that not all people in a country conform to that generalisation but most do. According to the men's survey, a mother dishes up hearty traditional meals unlike the smart culinary stuff or quick food favoured by modern-day women. Remarkably, many men point this out to their partners.Mothers rarely serve ready meals, have a wider repertoire of dishes, and always cook something they know their sons like. 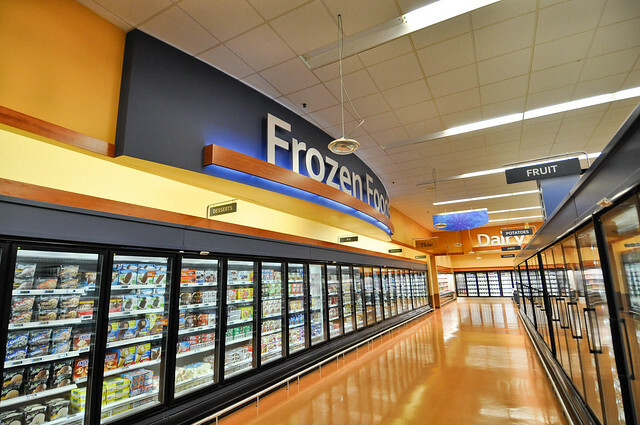 Wives and girlfriends, on the other hand, are likely to rely on the microwave or oven-ready meals from the freezer because they are strapped for time because of work or child care, it was found. London, Nov 27 (IANS) It seems the fast-food or meals-on-the-go lifestyle is steadily overwhelming Britain's lifestyle, with just one in four meals being now cooked at home. Not in my family home man. The mere shout of "Dinners ready!" struck fear in to me and my three sisters, and the dog would would wimper in his basket. My father would humour the situation with its "It's a lovely shade of black Maureen", "If its not black its not done", "Mind your teeth children, it's a bit tough". If you remember the comedy serial Butterflies, Wendy was an expert in comparison. My sisters inherited her culinary talents. I was fortunate to work in an italian restaurant and 'discovered' food. To generalize in return. I have found most Poles I have met, to be totally unadventurous with food, more than happy making sure the chicken breast they are about to eat is really dead by beating it to a pulp with a hammer. I did meet one lush little Polka who knocked up a nice Golabki for me and I am partial to a nice Zurek but generally I've found Polish food fairly basic stodge that pretty much anyone could knock up. IE. no skill required. Pierogi. Why on earth boil pastry? It's just wrong! making sure the chicken breast they are about to eat is really dead by beating it to a pulp with a hammer. Hey, it is the recipe! Don`t you beat your chicken breast before cooking??? Place a boneless, skinless chicken breast on your cutting board. Get two large pieces of plastic wrap and fold them over to double thickness so that they will cover the breast with room to spare. Remember we are flattening the breast so it will expand. Put the breast between the two pieces of wrap and place on cutting board. Grab a mallet (if you don't have one use anything with a flat hard surface) and using the flat side pound out the breast to desired thickness. The thinner you pound it the quicker it will cook. Give this a bash sometime. haha - does no good deed go unpunished? Ant63,I the Tarragon chicken looks very good. You been eating in wrong kitchens! With all the smoked, pickled items and the sausages added in recipes? and onions and love for spices..specially proper paprika. I've always though german and polish sausages more flavorful than Bohemian and much better than Anglo versions. Sooo many kinds! Polish make them like Bohemes, sauteed in butter topped with fried onions or garlic butted and filled with cabbage with sausage. And my BF says also fruit little little turnovers (I have to try that!). Rus use potatoes kinda plain but if like Bohem then it would be potatoe and strong cheese. And "omlette" to them is ..YUM! Blintzes! In summer when the berries are in, and you make a big ole batch of pierogi dough and then put that filling in there (blueberries with vanilla sugar) or whatever berries you have, and they are hot off the pan with nice cold sour cream on top, o m g to die for! On a different note of this song. I taught both my older children to cook as soon as there was an interest. My daughter, alas only picked up mediocre skill. She can make Tbva, Stroganoff, Enchiladas, American Omlettes & pancakes. Nothing else from scracth sunk in . But her partner will be fed and not poisoned. My youngest is more restricted in kitchen for now. But can make sandwiches, and microwave food. He is on a restrcited diet which is quite similar to my betrothed. But my kids all can cook. He when in court with X... I was pointed at as "bad mother" for MAKING my kids cook for me and do chores, have bank accounts and take care of their own chosen pets. Irony. Now THAT is a culture clash I would bet. That it can be cried 'foul' to give your children responsibilities as they grew past age 7 and teach them household maintaince and cooking as their ability allowed.Yet allow them to date as young as 12 (my x allowed while they were with him) and it not be considered any harm. Meh! Rysavy,do you know how to prepare most Polish dishes and if so what do you like making the best? Yet our Krakowian self-proclaimed "genius" fails to understand that the above statement means that 83% of British women CAN crack the art of cooking". Which probably means England 1, Poland 0 (or it could be if they had closed the roof in time, lol). It's too expensive for breakfast anyway. the above statement means that 83% of British women CAN crack the art of cooking". In fact, it is NOT discussed here if British or Polish women CAN or CANNOT cook. The discussion is about the POPULARITY of home traditional cooking from the scratch. have to agree with Pam nobody eats that crap for breakfast unless they are builders or farmworkers and have already worked a few hours before breakfast. 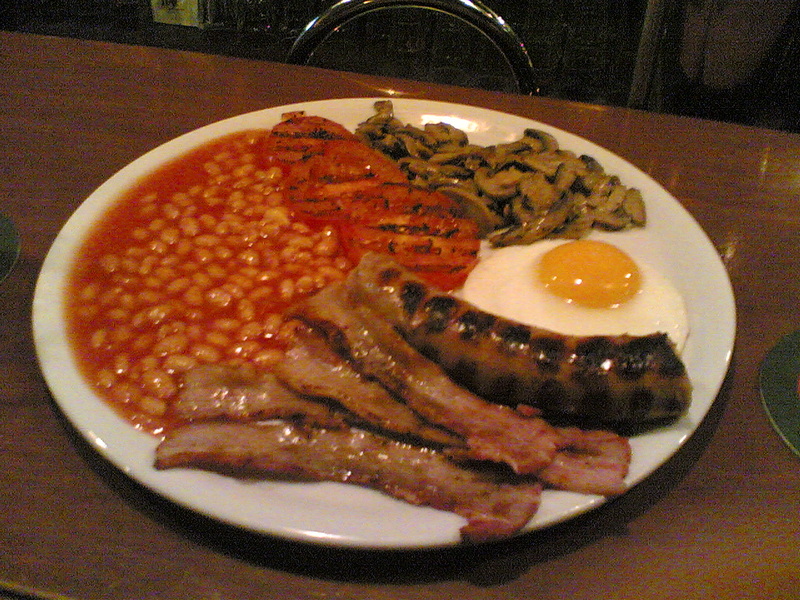 Dear guys, let me remind you that I didn`t expect to get the info who eats or doesn`t eat typical British breakfast in the UK. I know that it is eaten occassionally. A view not available in Poland. And my question was: how long will we last?